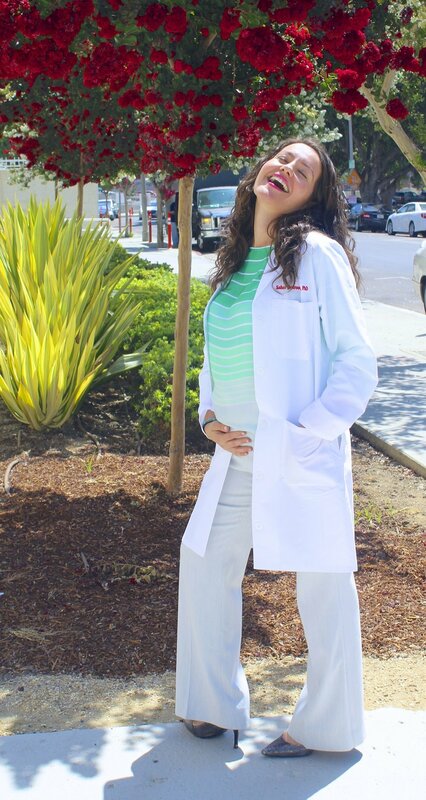 Double doctor and glaucoma specialist extraordinaire at the USC Roski Eye Institute, Sahar Bedrood, MD, PhD is not only an amazing surgeon but a pretty momma rockin' a professional maternity look for work. This girl does chic and pregnant perfectly. Sahar favors flowey silk patterned blouses to complement her sweet bump like this fun orange rotary phone print blouse by Maeve or green and white stripes from the Limited -- a great store for fun, colorful closet additions. Pair these blouses with simple bottoms - like a pencil skirt or slacks. This sweet Eliza J dress looks amazing too! A dress in a stretchy fabric is a must for any pregnancy wardrobe. And wear flats! 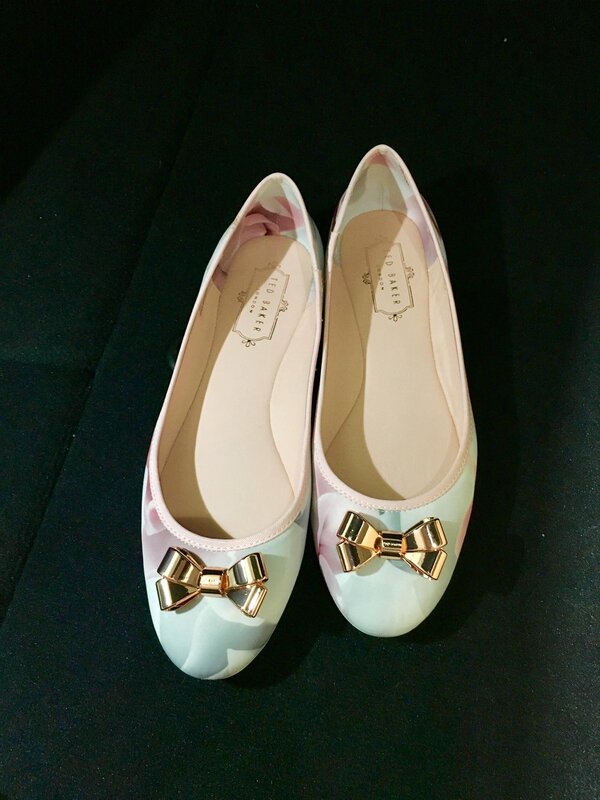 While she will throw on heels for a dinner out or a special event, at work, when pregnant you need to be 100% comfortable and in cute flats: Sahar's newest fave? The Immey from Ted Baker. Gotta love that bow! Fashion tip from Sahar? "No outfit is complete without the finishing touch of lipstick. I love lipstick - the brighter, the better. It can transform both your look and your mood" Agreed, girl! September 2017: Post baby update showing Sahar feeling great and taking on the world, as usual.